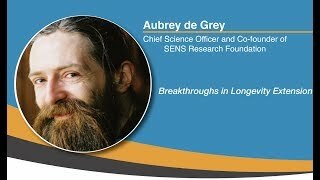 The human species is a young species, no more than 200,000 years old; we are also the first species to live long enough to experience aging and significant brain degeneration. The large human brain coevolved with extended human longevity within the last 100,000 years in the harsh world of the Ice Age when intelligence became the basis for survival. Longevity was a requirement to develop a larger brain. The prolonged and complex development required to build the fetal brain left residual stem cells in protected niches in every cell as a reserve for future growth and renewal. What an elegant design — our body is manufactured to have all the spare parts we will ever need in the stem cells hidden in protected niches that can renew or repair damaged parts. Dr. De Vany was one of the first proponents of what has now become the “paleo” diet. He has lived half of his almost 80 years of life in the paleo way. 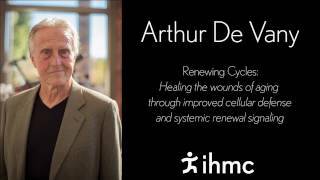 He published his models and methods of an evolutionary lifestyle in his book, The New Evolution Diet, and is now working on a book on aging tentatively titled Renewing Cycles: Healing the wounds of aging through improved cellular defense and systemic renewal signaling. 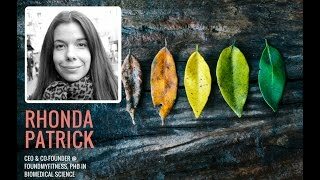 Rhonda discusses sulphoraphane, antidepressants, effects of heat/cold exposure and much more in this extended discussion with Joe. Dr. Rhonda Patrick is one of the world's top experts in health and nutrition. Learn more about anti-aging, nutrition, health benefits of heat alteration such as sauna and thesecret ingredients Dr. Rhonda Patrick throws in her breakfast every morning. Also tips for pregnant mothers in terms of nutrition. 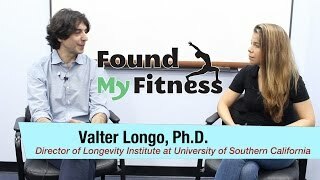 Dr. Rhonda Patrick speaks with Dr. Valter Longo, a professor of gerontology and biological sciences and director of the longevity institute at the University of Southern California. Dr. Longo has made huge contributions to the field of aging, including the role of fasting and diet in longevity and healthspan in humans as well as metabolic fasting therapies for the treatment of human diseases. 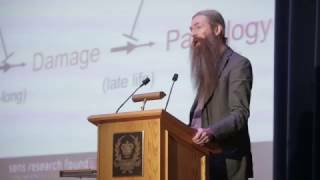 <br> In this conversation, Rhonda and Valter discuss... <br>The effects of prolonged fasting, which refers to 2-3 day fasting intervals in mice and 4-5 days in humans. <br> Dr. Longo’s work on the fasting-mimicking diet, which is 5 day restricted diet that is meant to simulate some of the biological effects of prolonged fasting while still allowing some food. <br> How clinical trials have demonstrated efficacy for this diet for type 2 diabetes, multiple sclerosis, and cancer patients. <br> Fasting as an inducer of differential stress resistance, where it can simultaneously make cancer cells more sensitive to death while also making healthy cells more resistant to these same death stimuli (such as chemotherapy) which might otherwise induce cell death amongst healthy cells as collateral damage. <br> Fasting as a biological state which humans historically experienced with extreme regularity and we may ultimately need in order to mitigate various disease states. <br> The effects of prolonged fasting on the immune system, namely, how it clears away damaged white blood cells via autophagy and how this causes hematopoietic stem cells to self renew and make more stem cells and also produce new blood cells to fully replenish the white blood cell population. <br> How prolonged fasting causes a shift in the immune cell population towards one that is more representative of youth by normalizing the ratio of myeloid cells to lymphoid cells. <br> The positive effects of prolonged fasting and the fasting-mimicking diet on markers of systemic inflammation, blood glucose levels and other aging biomarkers. <br> The conclusions of Dr. Longo & Dr. Marcus Bock’s research comparing 1 week of the fasting-mimicking diet followed by 6 months of mediterranean diet to six months of a ketogenic diet in people with multiple sclerosis. <br> The strange, somewhat paradoxical role of autophagy genes in cancer progression and some of the open questions surrounding the exact role that these genes are playing. <br> Dr. Longo’s high level thoughts on metformin as an anti-aging drug. <br> How the growth hormone/IGF-1 axis is one of the most important genetic pathways in aging from yeast to worms to mice to humans.